Though I've been to Wagamama about a million times, I had never tried their ramen dishes until this week. The only reason for that is my complete obsession with their Chicken Katsu Curry... It was the first dish I ordered on my first ever visit to Wagamama about 5 years ago and I've ordered it every single time I've gone since then - it's my favorite. My last visit to Wagamama was purpose-driven... I went to try the ramen to help Wagamama celebrate this dish they've been carefully perfecting for more than 2 decades. For those of you not familiar with Wagamama, it's a Japanese inspired restaurant with locations in 18 countries. 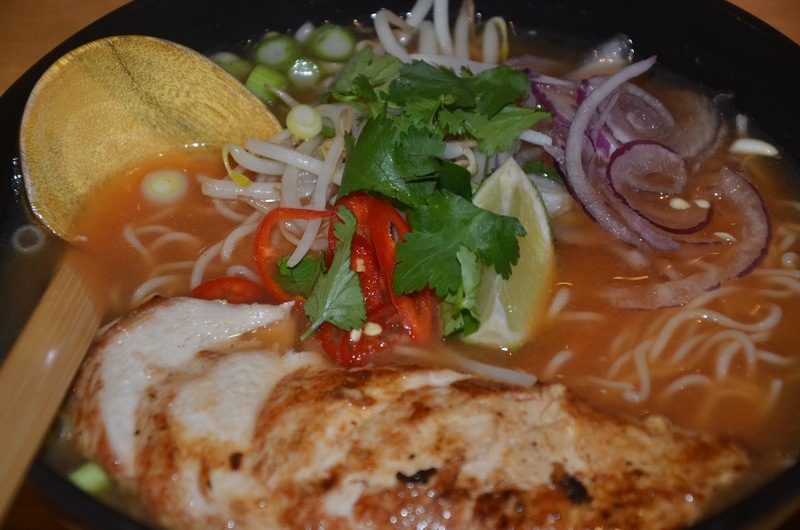 Here in the UK, Wagamama is practically an institution offering hot, tasty food that's great value for money. 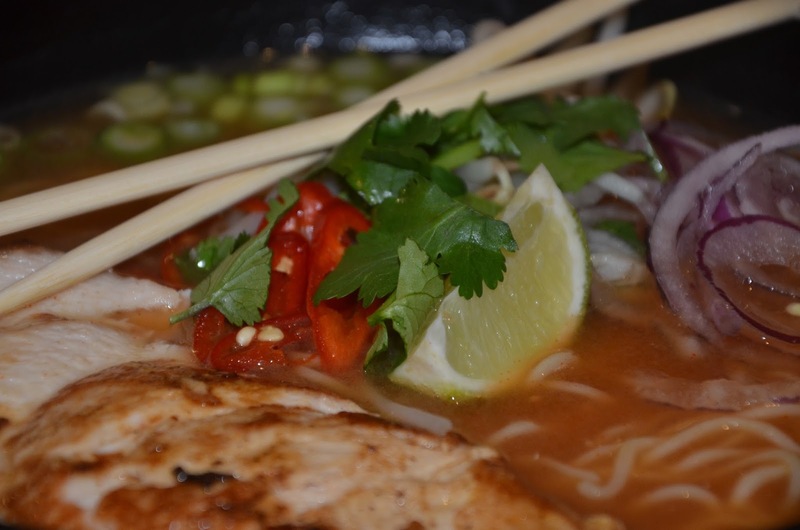 In 1994, Wagamama released a cookbook titled Way of the Noodle offering ramen as "a nutritionally complete meal in a bowl; the noodles, containing valuable carbohydrate and dietary fibre, wim in a healthful broth and are topped with vitamin-rich vegetables, plus a little protein in the form of meat, seafood or tofu and minimum fat." 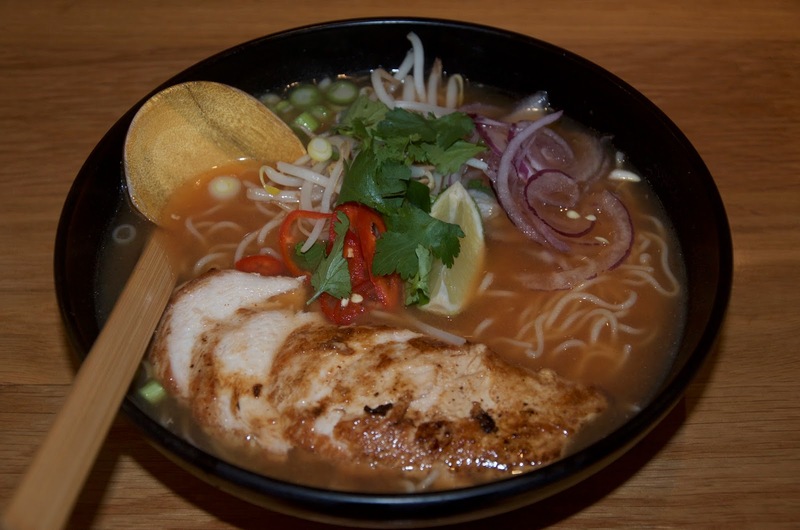 This year Wagamama is still dishing up hot ramen dishes adding a few new concoctions to the menu including Duck Ramen, Chilli Chicken Ramen and Yasai Ramen. Let me start by saying, this lovely creation is not at all like the ramen noodles you buy for 45p in foil wrapper at the grocery store... Don't get me wrong, I love those too, but this is much more substantial, more delicious and absolutely beautiful to look at. The noodles are sturdy and substantial, but still soft. The soup is warm and comforting with a little kick of chilli and the chicken is a succulent and juicy addition that gives the dish another interesting texture. I really enjoyed this dish and it certainly helped me feel ever so slightly better, clearing out my sinuses with the chilli heat and feeding me a balanced meal at the same time. 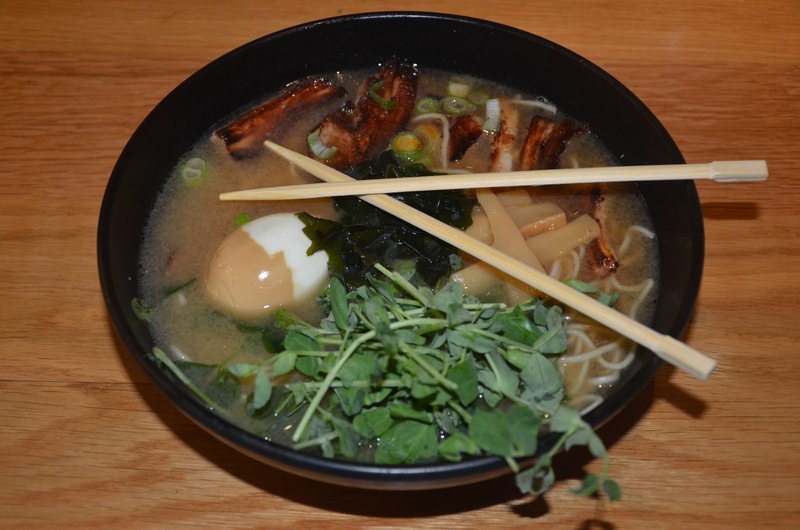 My guest ordered the Pork Ramen which comes in a miso and ginger broth with a tea stained egg. It's a delicious choice for someone who's not quite ready for the spicy hot chili options on the menu. 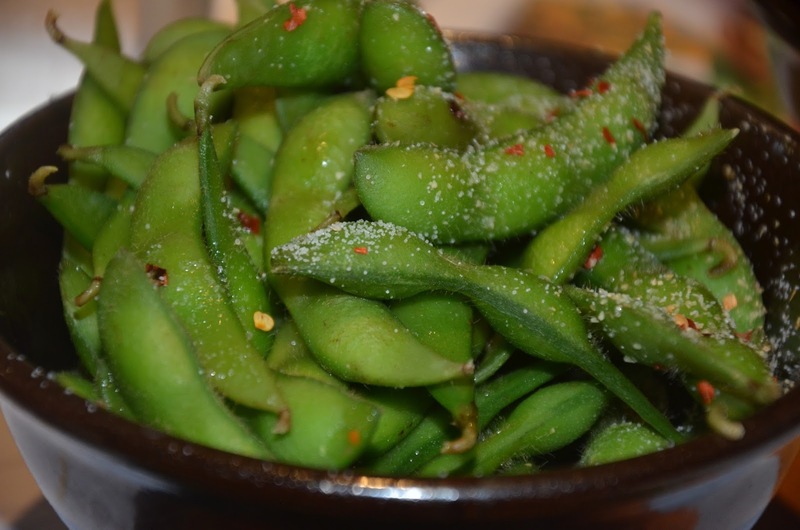 Of course no trip to Wagamama is complete without the Chilli Garlic Edamame... I order this every single time I go and it never disappoints. 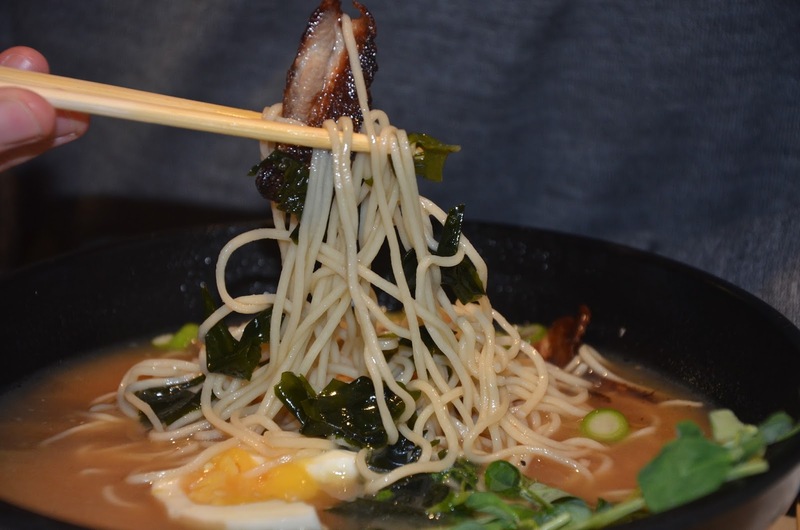 It's hard not to enjoy a ramen dish... There's something rather fun about bowl food, the big wooden spoon, the chopsticks and the wide variety of ingredients in the bowl. The dishes are so beautifully presented in rather organized way. For more information on Wagamama or to see the list of ramen dishes for yourself, visit www.wagamama.com. 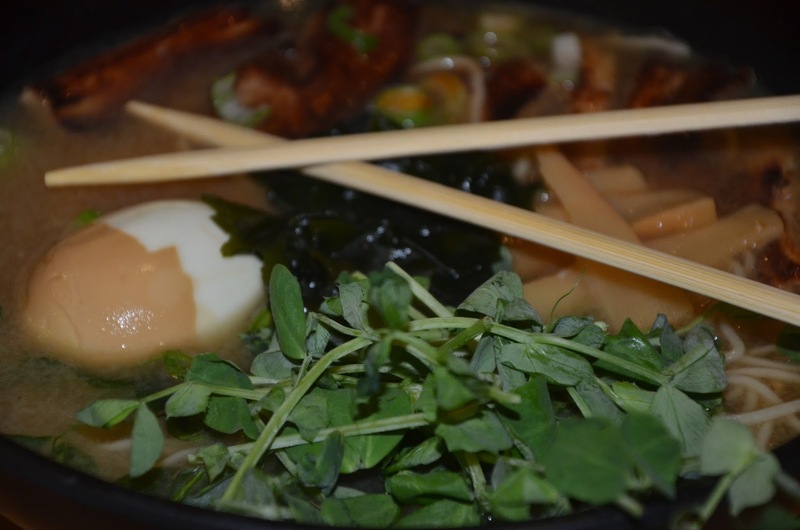 *Many thanks to Wagamama for partnering with Pink Julep for this post.